I recently finished a knitted gift for our friend’s baby. It arrived in their hands only a day or two before his birth. Whew! 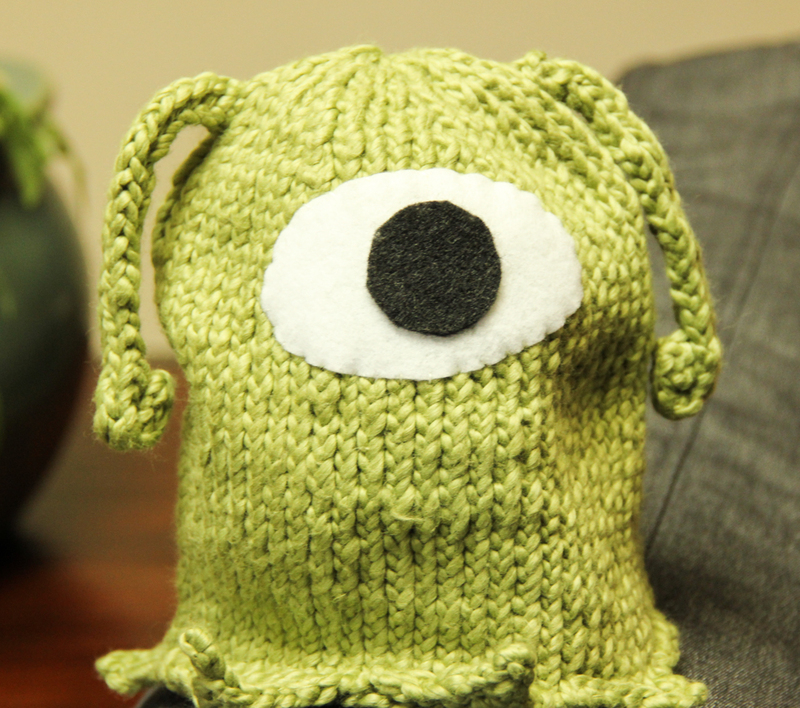 I made a brain slug hat. What, you don’t know what a brain slug is?? 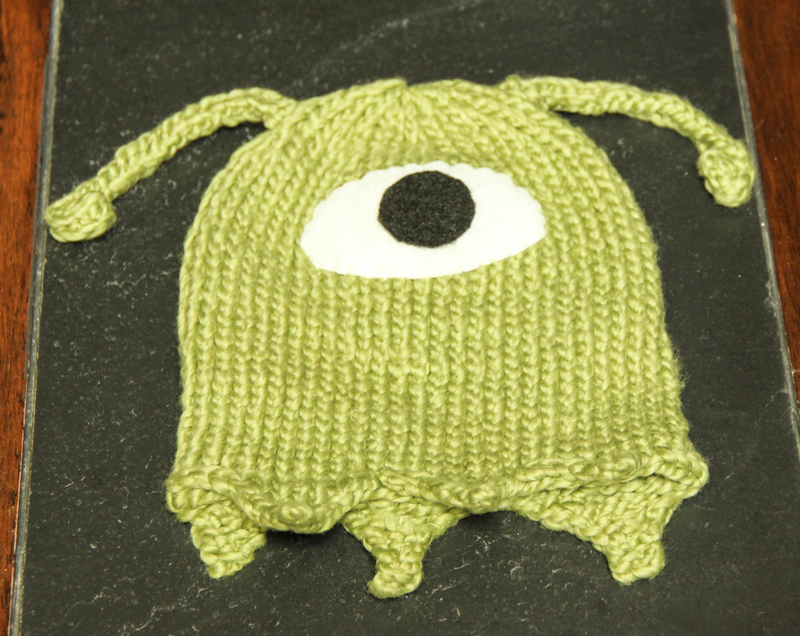 Anyhow, I felt a geeky hat would be perfect for the baby of our friends. We also sent him things like periodic table blocks and a book called Calculus for Infants. Obviously, a brain slug would fit right in. I found the pattern on Ravelry. 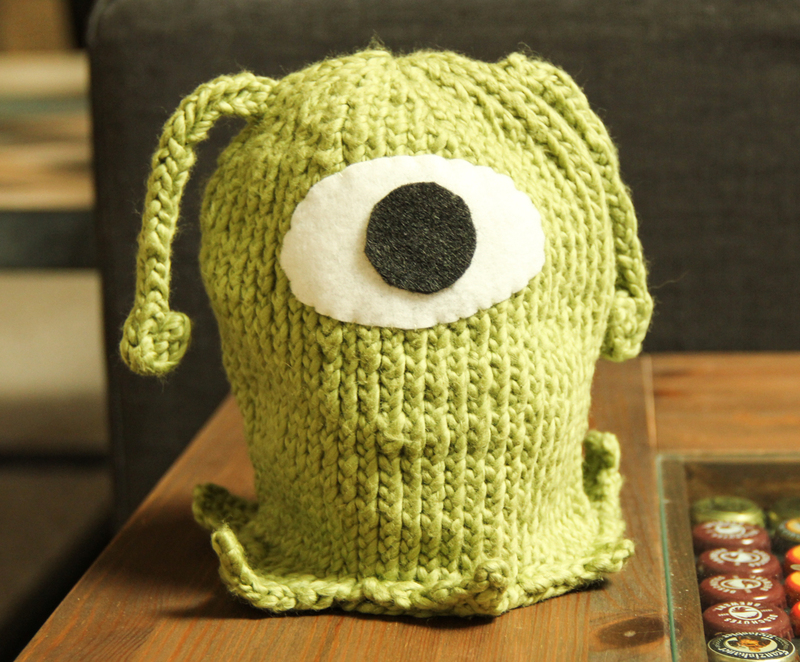 I’m happy with the results, but I could never get the white knitted eye part to have the right shape. The instructions weren’t very clear so I ended up just using white felt and cutting out a shape that worked instead. Update! 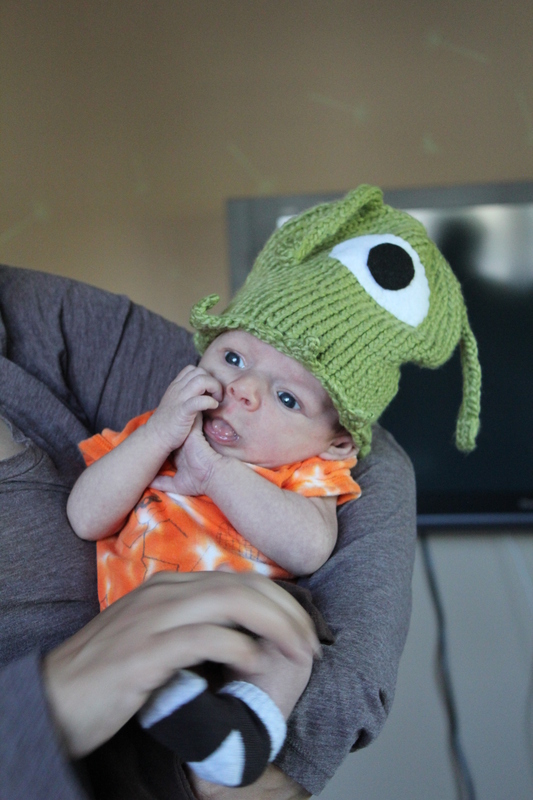 A picture of our friend’s baby wearing the brain slug. Apparently the hat should have been a bit wider. But what a cutie! On a recent trip back to Ohio, I was reminded how much I love fruit salad. 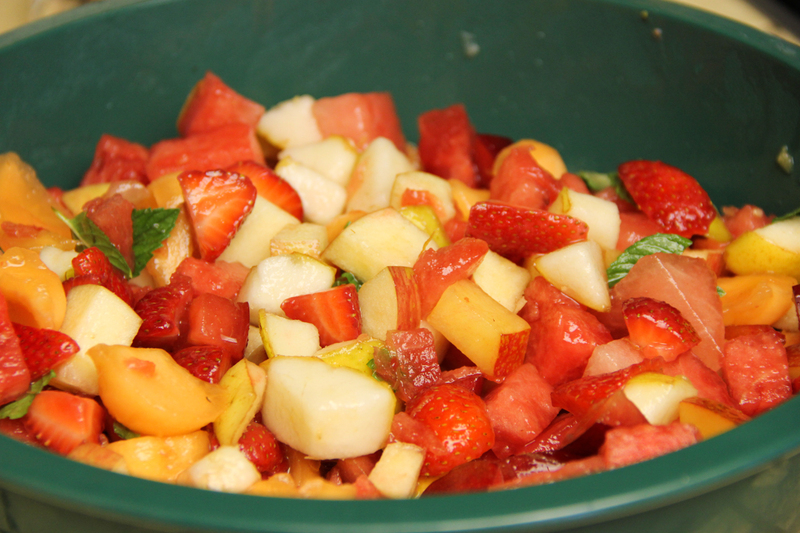 At one party, there were five different kinds of fruit salad!! Talk about yum. One even came in a fancy watermelon rind bowl. That led me to make my own fruit salad for a party we attended. I really don’t understand why I never encounter fruit salad in Texas. Well, cutting up all that fruit is time consuming I suppose. I went to the store and picked out the most delicious looking fruit they had that day. I came home with red and black plums, strawberries, watermelon, cantaloupe, pears and apples. Most fruit salads I’ve had in Ohio are just cut up fruit, but after looking around at some recipes I decided to make a light syrup for my salad. 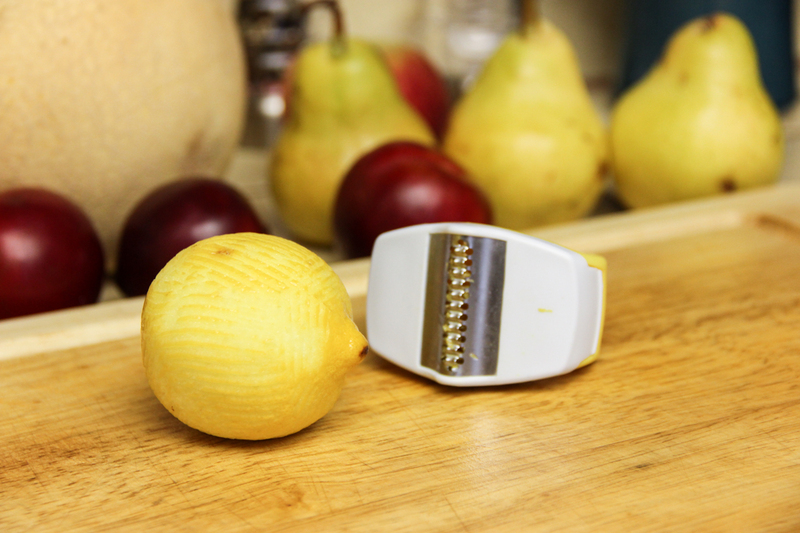 After cubing the apple and pear, I mixed in the juice from half a lemon to keep them from turning brown. 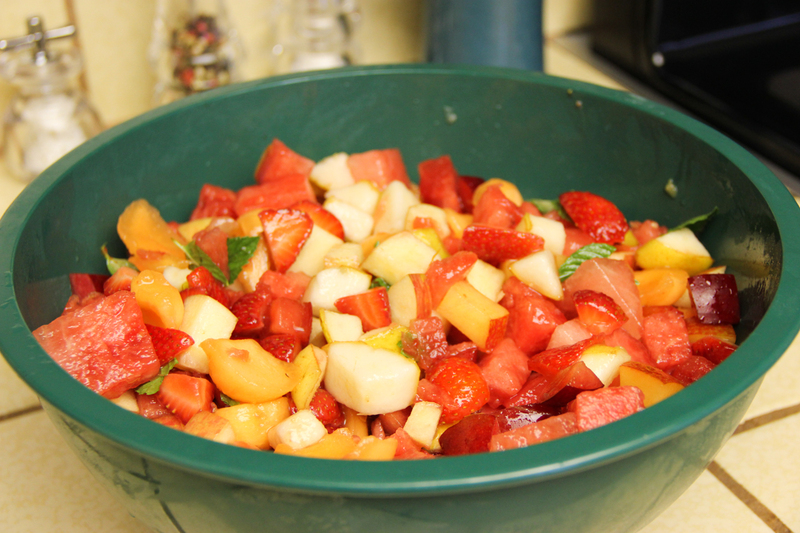 I then cut up the remaining fruit and tossed it with some mint from the garden. I made a simple syrup by combining a 1/2 cup sugar, 1/2 cup water, zest from one lemon and the juice from 1 and 1/2 lemons in a sauce pan. I simmered the mixture for a while to thicken it just a bit. Right before heading to the party I poured the cooled syrup on the fruit and mixed it up. I think I’ll make this again. 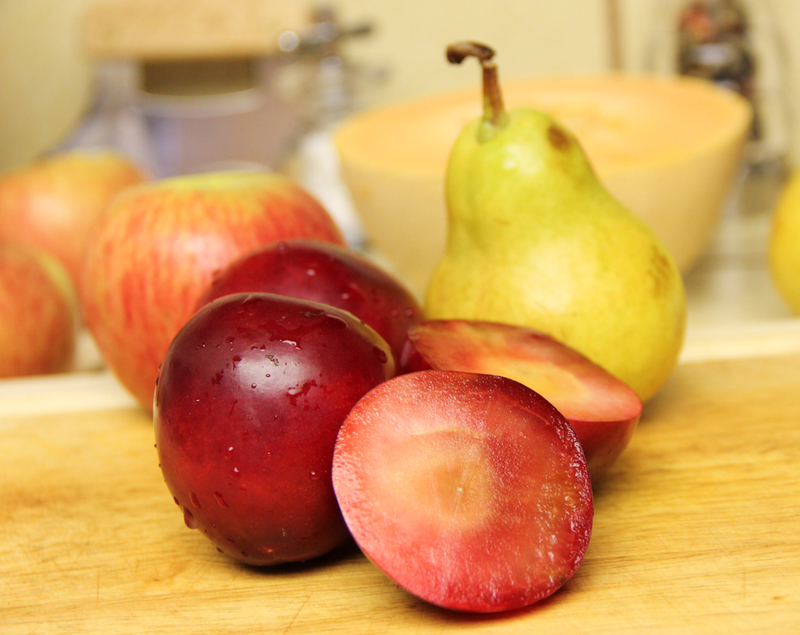 Plums, pears, apples, cantaloupes, oh my. The pioneer woman’s fruit salad was definitely inspiration.